Tim Harber of Coldwell Banker Commercial NRT is pleased to offer for lease to qualified tenants a freestanding 2,952 sq. ft. building located at 2230 Citrus Blvd Leesburg FL 34748. This building is currently occupied by Verizon Wireless. It is on a corner next to Tire Plus. 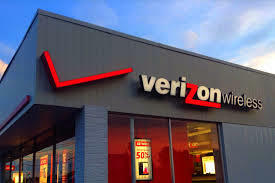 Verizon has been in this location for over 10 years with their term soon to expire. This property is located on Highway 441/27 on the north side of Leesburg at a minor corner. Super Walmart is located across the street as well as Bealls, several banks, tire stores and restaurants. The property is several miles south on the acclaimed 'Villages' high end master planned community. This property is located on Highway 441/27 on the north side of Leesburg at a minor corner. Super Walmart is located across the street as well as Bealls, several banks, tire stores and restaurants. The property is several miles south on the acclaimed 'Villages' high end master planned community.